REPETITION IS THE KEY TO RETENTION! 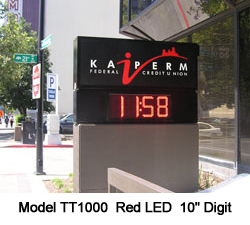 The STARFIRE 16mm Series is designed to deliver highly visible outdoor advertising along any city or main street. 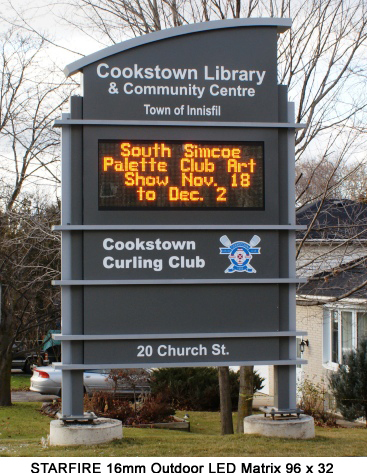 These signs have a wide viewing angle display resolution make it ideal for monument applications and almost any traffic volume. 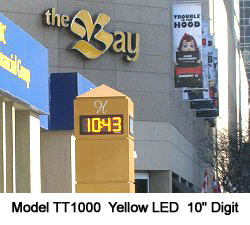 Brilliant red or amber discrete LEDs will grab attention and bring more drive-by customers into your business. Our web based support programs meet your education needs. Best of all the STARFIRE Series is custom manufactured to your unique specifications without any additional charges. 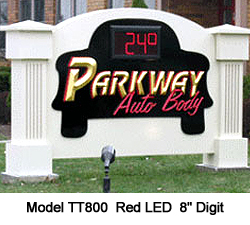 ► Offered in red, amber, green or blue LED’s with 100’s of sizes available. ► Front access to all electronic components. 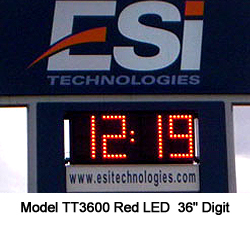 Hinged LED displays configured with a single controller platform for all models. ► Maintenance free cabinet, no vents, no filters to clean. ► Protective LEXAN face in front of discrete LED pixels for the ultimate protection without compromising readability, contrast and brightness. 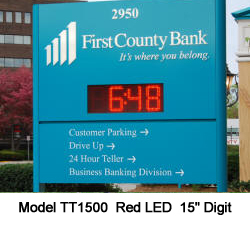 ► Modular LED configurations enables fast delivery and easy installation. ► Wired, Wireless Ethernet, Fiber Optic Ethernet or DSL /Cable modem. 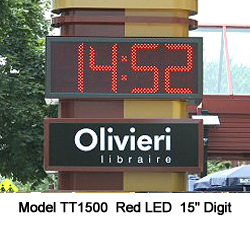 ► PC software editor with time of day scheduling & display emulator create the perfect out-of-home advertising solution for your Digital LED Display. ► Easy front access enabling one-person servicing with 3 simple tools. 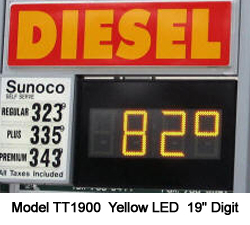 ► GREEN TECHNOLOGY – LED technology uses 95 percent less energy than other light sources. ► ENERGY EFFICIENT – Energy smart LED technology uses minimal energy. 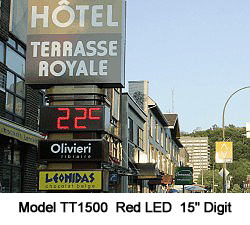 ► FLEXIBLE – Many Modular LED Matrix Sizes Available. 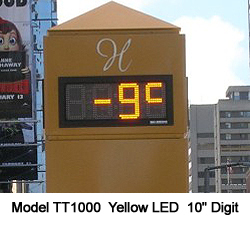 ► POWERFUL – Visible from several hundred to over 3000 feet with our large diameter LED pixels. ► EFFICIENT – Energy Smart Technology is affordable, reliable and energy efficient. ► DYNAMIC – At a moment’s notice, brilliant advertising messages and graphics attract the attention of your drive-by audiences. 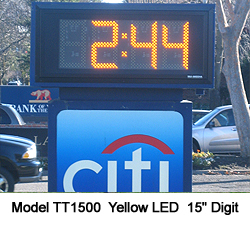 ► ECONOMICAL – A single investment in LED advertising displays will help you to eliminate reoccurring expenditures on traditional advertising methods that can never really be measured. ► PROFITABLE – Create new sales and profits as no other advertising medium can by stimulating and increasing daily impulse purchases. VISUAL DESIGN RENDERING – Send us pictures of your application and we will suggest affordable solutions for your visual communication need. We are experienced in helping customers define your needs and refine your ideas. We also understand that every business has unique needs and priorities. Call 800 346-4474 for a fresh approach to Dynamic Visual Communication.